Ask a Londoner: What’s the best area to stay in London? Possibly our most asked question is, ‘What’s the best area to stay in London?’ Instead of just taking our opinion, we asked some of our favorite writers and Londoners which area they’d recommend. 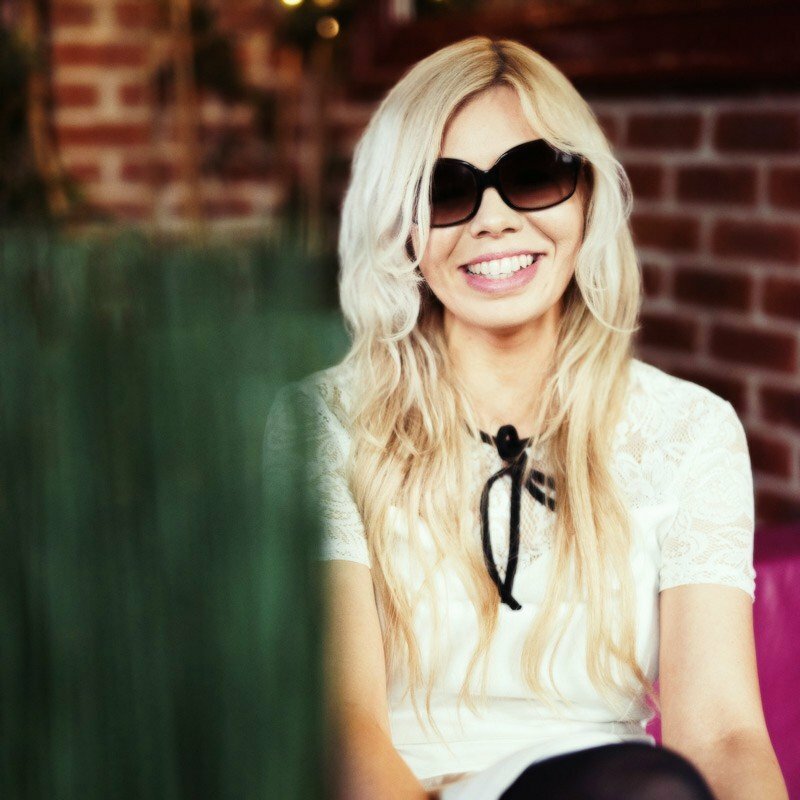 We even spoke with Maddy, the owner of London Perfect. After living in London for more than 25 years, you can bet she has plenty of advice. 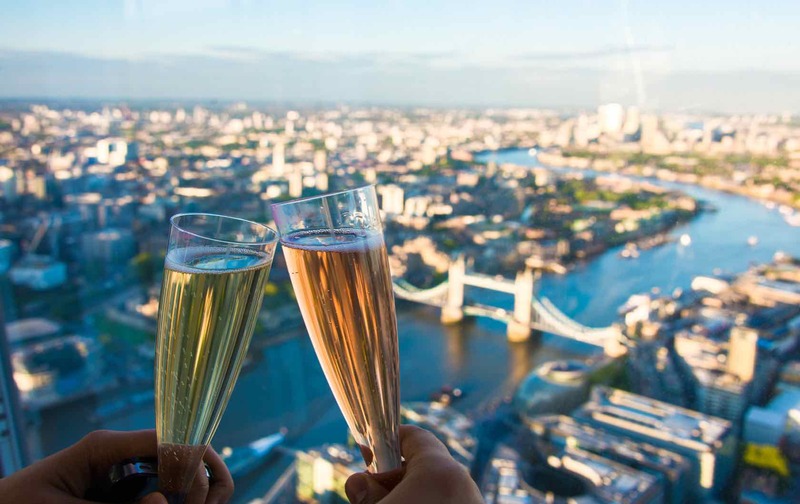 Read on to discover what our experts think are the best areas for visitors to stay in London. I have two favorite neighborhoods: Kensington/South Kensington and Notting Hill. They are all the best areas to stay in London, especially for first-time visitors. 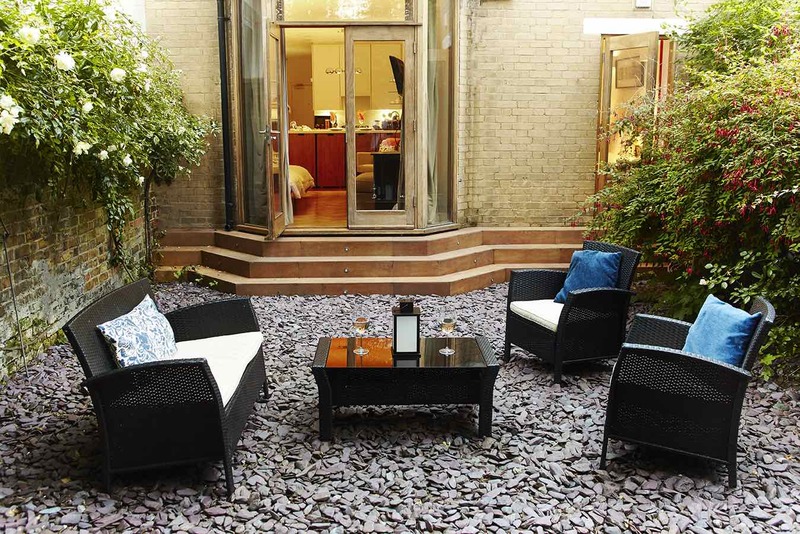 My top choice for the best area to stay in London is Kensington/South Kensington. 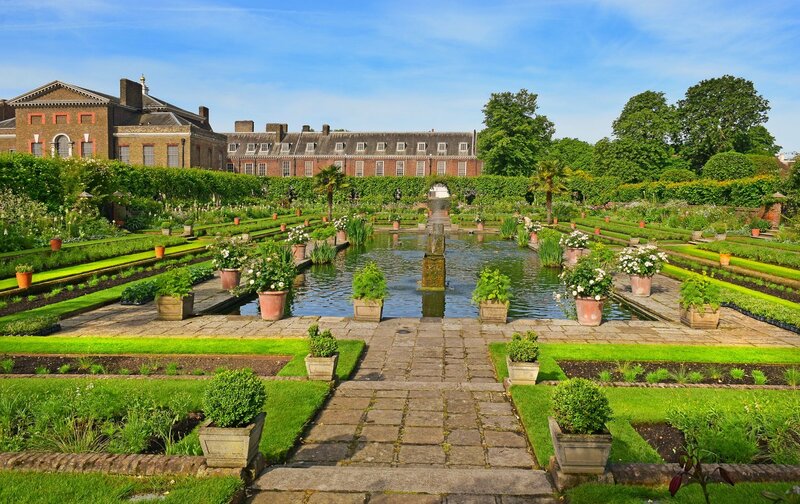 You’re walking distance to the famous and unmissable Kensington Gardens and Kensington Palace (where Prince William and Katherine and Prince Harry and Meghan Markle live). 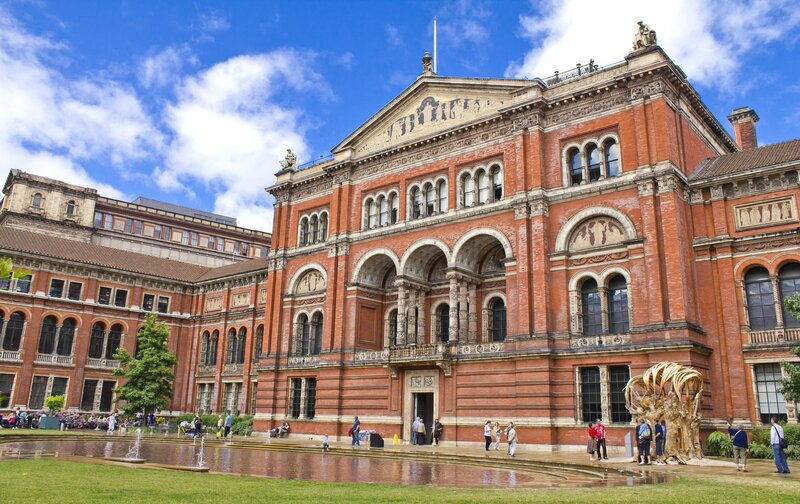 It’s especially convenient to the famous Museum Row–the Natural History Museum, Science Museum, Victoria and Albert Museum–each of which is fascinating for all ages. There is a fantastic selection of good, affordable restaurants on Kensington’s High Street, as well as next to South Kensington Station. You’ll find excellent shopping opportunities on High Street Kensington and on Kensington Church Street, next to Kensington Gardens. In Kensington, you’re at the crossroads of the best of London. Very important: When you visit London for the first time, you’ll quickly learn that being near a direct Tube line to the Theatre District is the way to go. 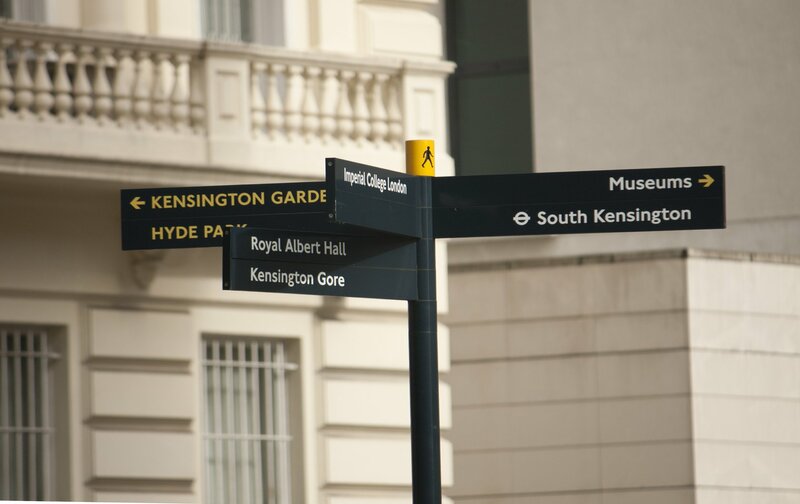 Both Kensington and South Kensington have direct Tubes right to the heart of Piccadilly and the Theatre District! Also, there’s a direct line to Knightsbridge and the famous shopping at Harrods, as well as direct access to Kings Road, the hot spot for fashion and the Tower of London too. It really is the best area to stay in London! When you get to the city, remember to buy an Oyster Pass at a Tube station. That way you can take either the Tube or one of the red London buses during your stay. 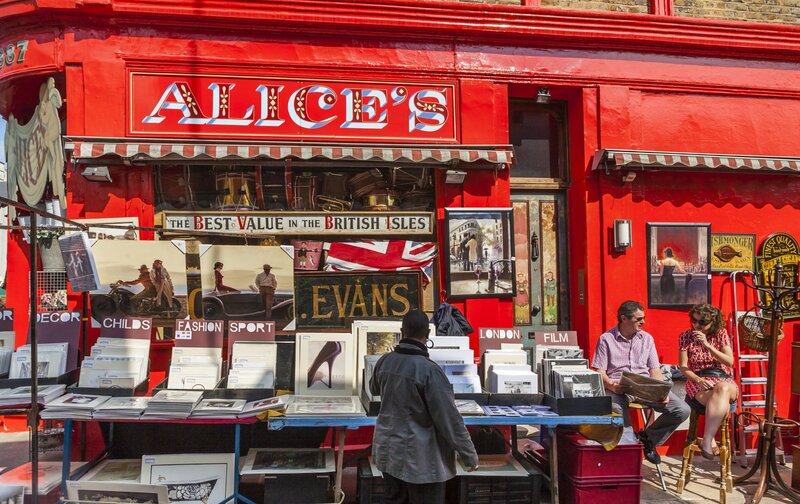 Head to Portobello Road in Notting Hill for treasure hunting. My other choice for the best area to stay in London is Notting Hill, which is just North of Kensington Gardens and walking distance to Kensington, Kensington Gardens and Museum Row. Notting Hill offers some of the hottest new restaurants. You are spoiled for choice in terms of excellent, affordable pubs and restaurants, from Kensington Church Street to Westbourne Grove to Portobello Road. A must-see is the famous Portobello Market on Saturday morning for the biggest antiques and vintage market in London, and of course, visiting Kensington Palace, the museums and plenty of shopping. The nearby Notting Hill Gate Tube stop goes directly to Oxford Circus for mega shopping and to Regent Street for even more shopping. It also runs to the Theatre District and to St. Paul’s Cathedral. 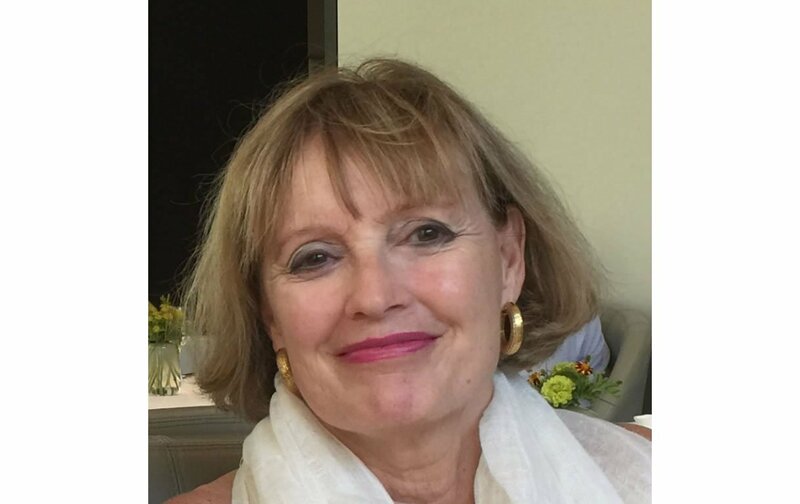 Madelyn is the owner of London Perfect and lived in London for 25 years. The Austen is a two bedroom, two-bathroom apartment that sleeps up to four people. Located in the heart of Kensington, its classic decor and the communal garden would make Miss Jane Austen proud. See more of our Kensington apartments here. Becky Moore recommends Notting Hill as a favorite neighborhood in London. One of my favorite neighborhoods in London is Notting Hill. A bohemian area located in central West London, this is the place to head to if you like street markets, cool bars, intimate restaurants and one-off boutiques, all with a perfect back drop of beautiful pastel-colored houses. The famous Portobello Market held on Friday and Saturday is full of antique bargains, interesting retro finds and vintage clothing. Nearly a kilometer long, the vibrant and lively market offers an endless variety of goodies for sale and it’s a great way to spend an hour or two even if it’s just to experience the wonderful atmosphere. On the last weekend in August, the Notting Hill Carnival, a spectacular burst of color, live music and dancing on the streets, is another must see! Becky is the owner, writer and photographer behind the award-wining site for independent travelers, Global Grasshopper. Born in England, you’ll find Becky walking her rescue dog in leafy South West London, strolling around the Brighton Laines on random day trips, hunting for photogenic landscapes or daydreaming about returning to her all-time favorite places in the world. 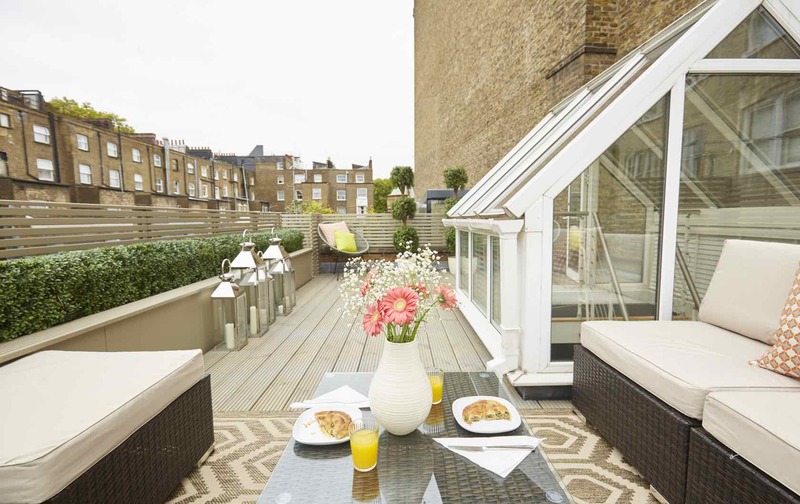 The rooftop of the Danebury is your own London hideaway. The Danebury is a two bedroom, three bath mews home in the heart of Notting Hill. 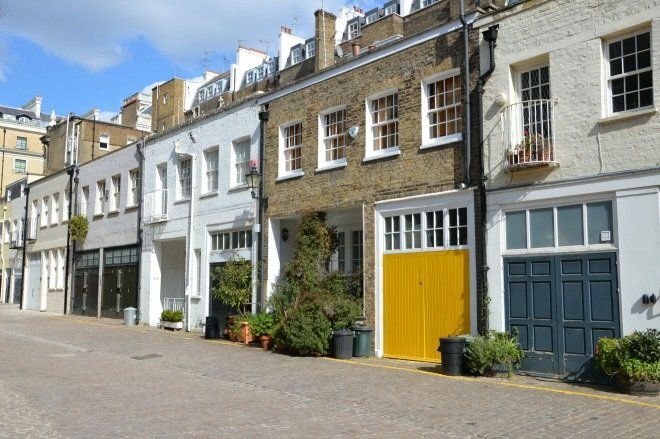 Mews are the most sought-after property locations in London thanks to their charming atmosphere and luxurious home setting. The three levels of living space sleeps up to six people and features a rooftop lounge, private garage and laundry facilities. See more apartments in Notting Hill here. In Chelsea, stroll the swanky King’s Road, from contemporary art at Saatchi Gallery to the celebrity-abuzz Bluebird Cafe. Transcend day to night along this expensive and desirable stretch of real estate. Indulge in some celeb-spotting, swoon over the pastel-painted houses on picturesque side streets, and wine and dine your way, from brunch at The Ivy Chelsea Garden to market-fresh seafood at World’s End Market restaurant. Shop your heart and wallet out, with everything from international couture to stylish independent boutiques. Or browse artisanal and locally grown produce at Chelsea Farmer’s Market. Spot the numerous blue plaque buildings, where famous poets, writers, actors and politicians once lived. Take a walking tour of surrounding neighborhoods acclaimed as home to Jane Austen, Oscar Wilde and Mark Twain. For peace and pampering, drop into a class at hugely popular sanctuary of Zen, TriYoga Chelsea, where world-leading teachers hold special classes. By evening, King’s Road is brimming with clubs and bars spilling onto the streets. Dance away at Tonteria, a Mexican establishment in the upscale Sloane Square, where Prince Harry, Jessie J and Pippa Middleton have been papped. Keep the party going at Raffles or Juju for a more intimate affair. 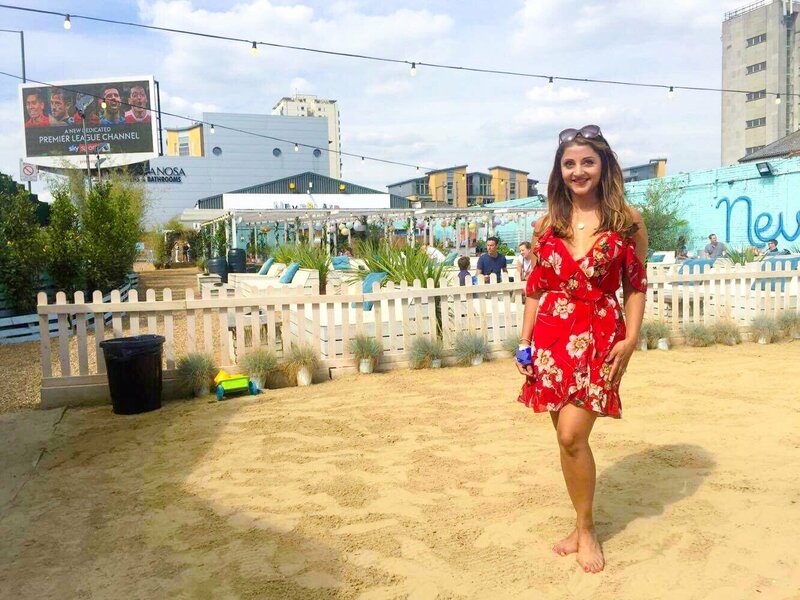 Anisha is a broadcast journalist, world traveler, writer and Londoner. This former BBC journalist now is a freelance writer jaunting to emerging destinations around the world with her daughter or at home in London with her English bulldog. 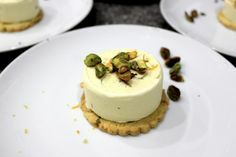 Anisha’s work has appeared in BBC Travel, CNN, Lonely Planet, Africa Geographic, Virtuoso, Business Insider, Huffington Post Travel and Fodor’s Travel Intelligence. Hamilton is our one bedroom, one bath apartment in Chelsea. It sleeps up to five people and has a newly remodeled bathroom. Just imagine having your own secret garden, just off the living and bedroom. It’s certainly a London luxury! Find more of our Chelsea apartments here. Savi and Vid toast to London. If we had to recommend just one area of London to a visitor, we’d recommend South Kensington. It isn’t just one of the poshest areas of London, it is also the prettiest. 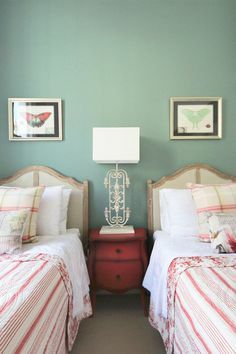 Think ivory houses with pastel accents, alleyways lined with powder pink cherry blossom trees, and quaint bakeries at every corner. An apartment in South Kensington is ideal for first-time visitors because they will have a lot of London’s iconic sites at their doorstep such as The Royal Albert Hall, Hyde Park, Natural History Museum and the V&A! And that’s not all. South Kensington is also home to some of London’s hippest eateries – trendy vegan restaurants, artisanal cafés and smoothie bars, and nouveau English pubs – it has them all. Savi and Vid are the adorable couple behind Bruised Passports. This husband and wife have traveled together for 12 years to 80+ countries. Originally from New Delhi, they called London home, where Savi earned her PhD in visual arts and literature. Now, they roam the earth, while working with brands like Cannon and Hewlett-Packard. Savi and Vid have done a TEDx Talk and filmed a TV series for the Discovery Channel. French doors open up to a terrace for al fresco dining with a garden view. Located in South Kensington is the Salisbury, an elegant one bedroom, one bathroom apartment that sleeps up to two people. 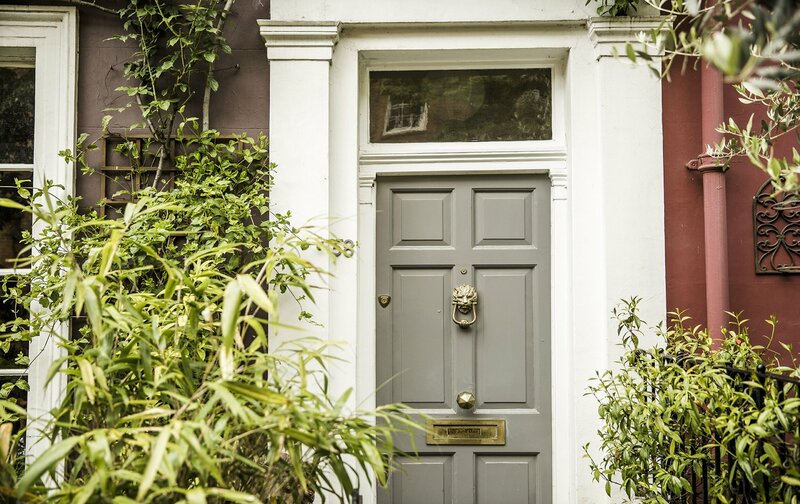 Set on a pretty garden square, with antique and contemporary décor, the Salisbury will put you on the doorstep of Savi and Vid’s favorite area of London. 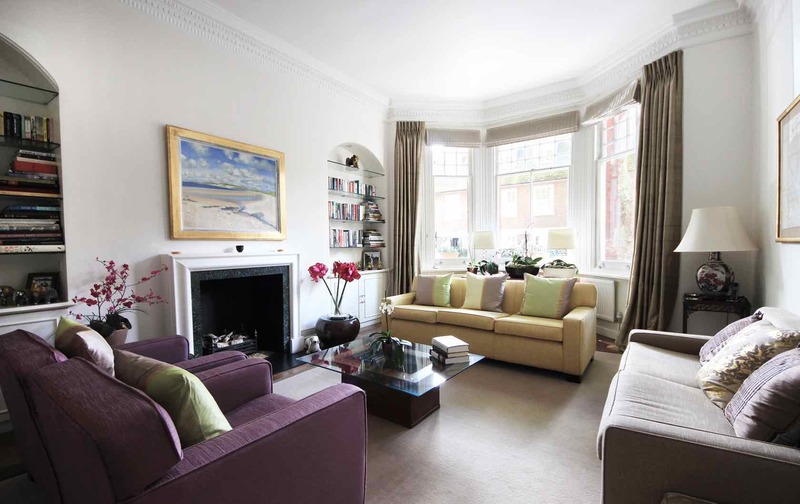 See more South Kensington apartments here. 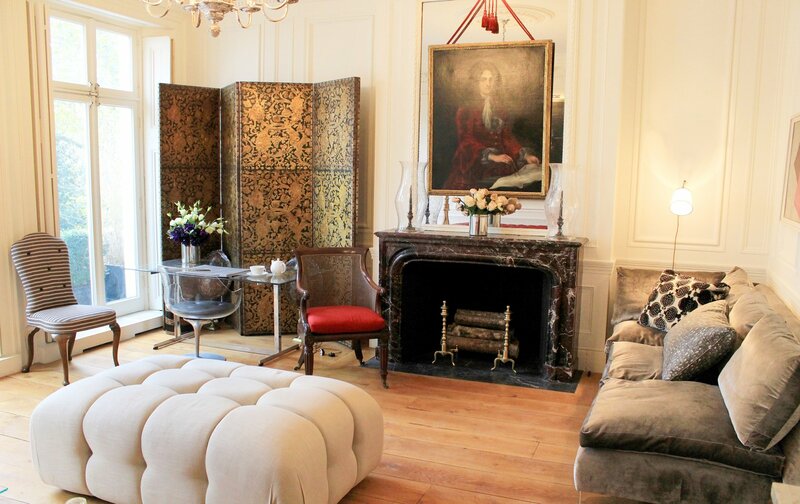 If your budget allows, stay in the refined, regal part of London that is Belgravia. It’s one of the wealthiest parts of London recognizable by its grand terraced houses. Surrounded by four tube stations and sandwiched between iconic landmarks such as Westminster, Harrods and Hyde Park, you’re in a prime location to explore London. Don’t forget to give Peggy Porschen Cakes a try! Amar is the founder and editor-in-chief of Gap Year Escape. He’s traveled to all seven continents and is a writer, photographer and entrepreneur. 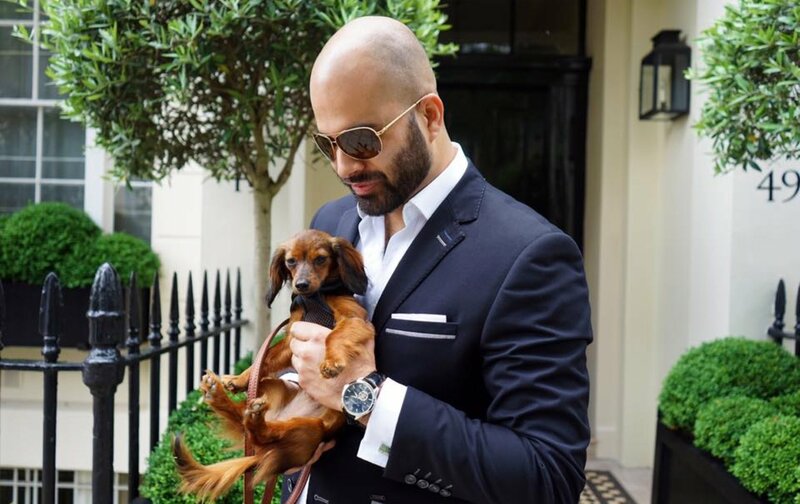 Amar has appeared in TIME, BBC, Entrepreneur, Lonely Planet and is a contributor to the Huffington Post. When not traveling, Amar calls London home. 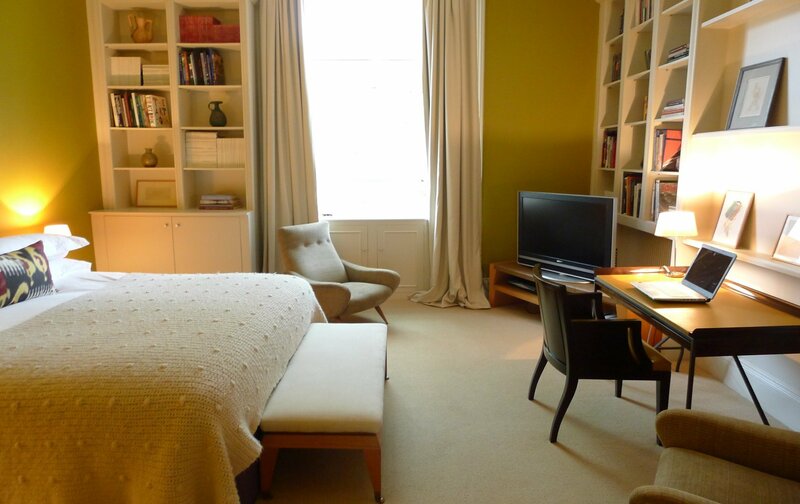 Enjoy Amar’s suggested area and rub elbows with London’s elite by booking our Belgravia apartment. This beautiful three-bedroom, three bathroom home sleeps five and is near Elizabeth Street. We recommend staying in the Battersea Park area, as close to the River Thames as possible. Directly across the river from Chelsea, this is a slightly more pocket-friendly part of London’s leafy central areas, but still within easy reach of Chelsea’s attractions. It’s just a little way away from the hubbub of the West End and removed from the workday rush of The City. With verdant Battersea Park on the doorstep, it’s a place to while away many an hour walking beside the river; plus the redeveloped Battersea Power Station is opening up with a host of restaurants and bars, making this corner of London ever more fashionable. A little further east, but still part of Battersea, Nine Elms has become more residential with a host of new developments, many of which come with great views of the river, toward Westminster, the Houses of Parliament, and the London Eye. Plus with the US Embassy already relocated there and that of the Netherlands and China set to follow, this area will become more and more attractive. The West End is a short hop from here by taxi or public transport 7. Sarah & Terry Lee are the founders of LiveShareTravel, an award-winning luxury travel and lifestyle site. 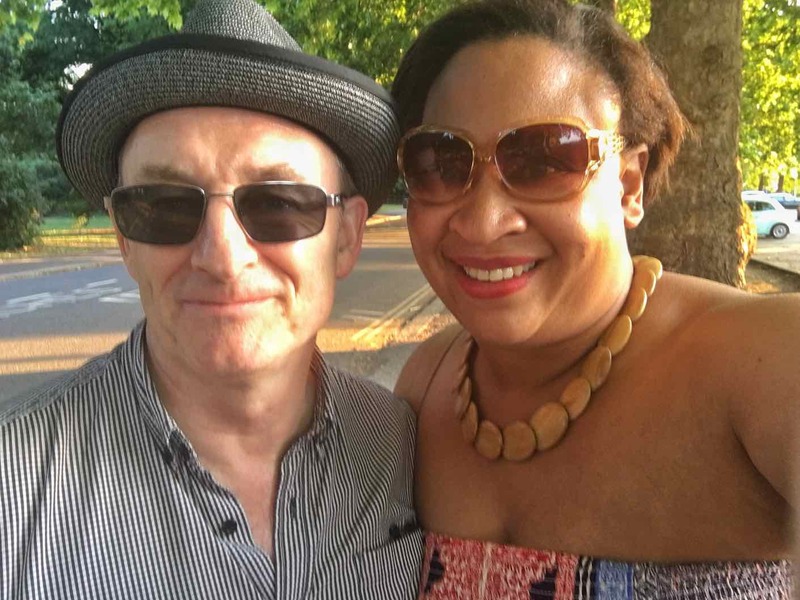 Sarah’s been a print journalist and editor for 20 years, while Terry has a 20-year background in PR and communications. Together, this fun English couple has traveled the world together for more than 15 years. See their guide to London. 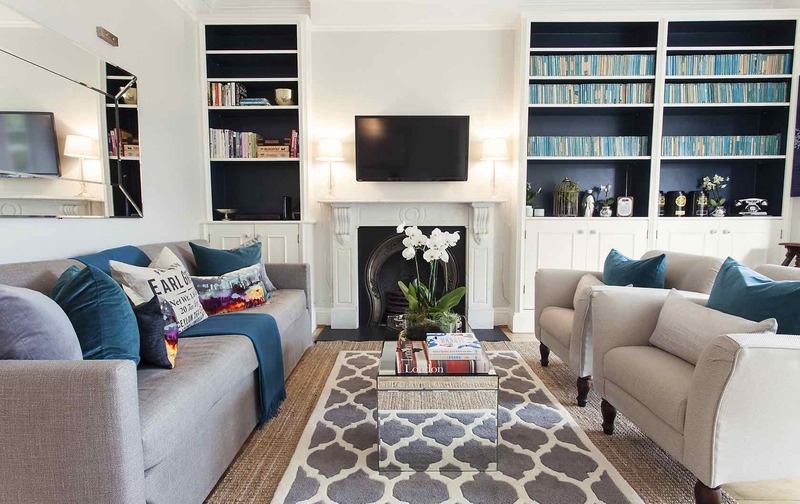 Enjoy our Christchurch apartment in Chelsea, across the river from Battersea Park. Enjoy our Chelsea duplex that sleeps up to five people. 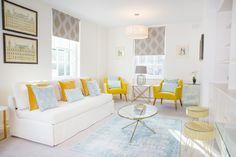 The Christchurch is a remarkable and extremely spacious, two bedroom, three and a half bathroom owner’s home set on two levels. See more of our Chelsea apartments here. 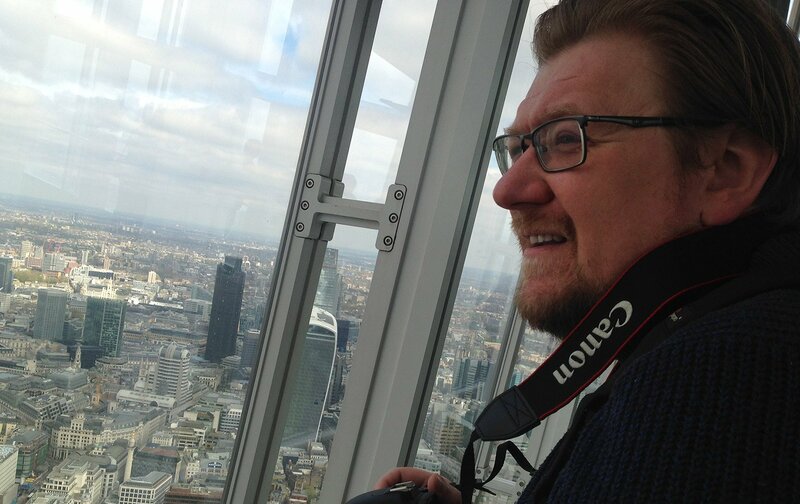 John believes all of London is worth exploring. I honestly don’t think it matters too much where you stay in London, it is a large city, so wherever you stay, you will need to get around to see all of the sights. Thankfully London has an amazing transport network, the tube is clean, fast and will easily get you anywhere in the city. I live in, was born in and grew up in South East London and have worked all over so I know every part very well. My favourite area to go to restaurants and bars is Soho, it is so vibrant and ever changing. Having lived here my whole life I still discover new places, and restaurants open on an almost weekly basis. Staying north of the River Thames is probably the best advice I could give about where to stay. 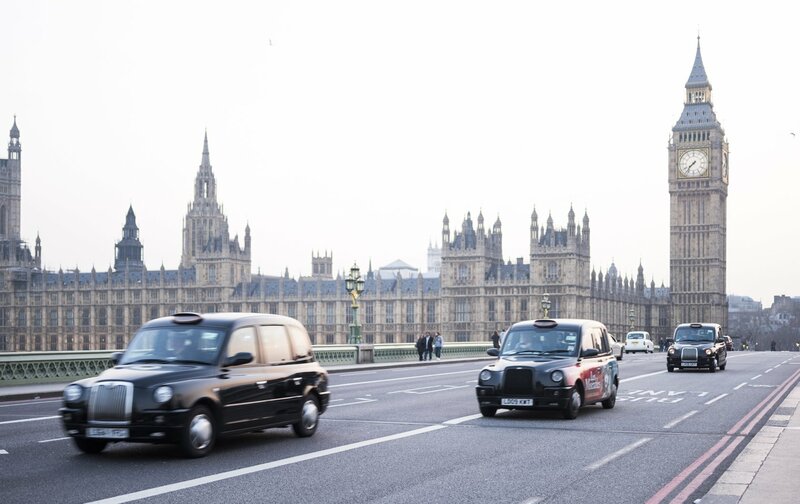 If you do find you want to take a Taxi, it is a lot cheaper and quicker than if you were staying south of the river. And if you are going to take the Underground, most places are only a few stops with no changes, you could see Big Ben, The Houses of Parliament, Tate Britain, Tate Modern and St. Pauls Cathedral in a day without spending more than 30 minutes on the Tube. John Wright grew up in New Cross, South East London and is the superb guy behind the London Perfect website. Posted on Monday, April 30th, 2018 at 12:45 pm in Ask a Londoner. You can follow any responses to this entry through the RSS 2.0 feed. You can skip to the end and leave a response. Pinging is currently not allowed.